Different arms of the government have moved fast since the killing of 13 protesters by police in Thoothukudi (formerly Tuticorin), on May 22 and 23. 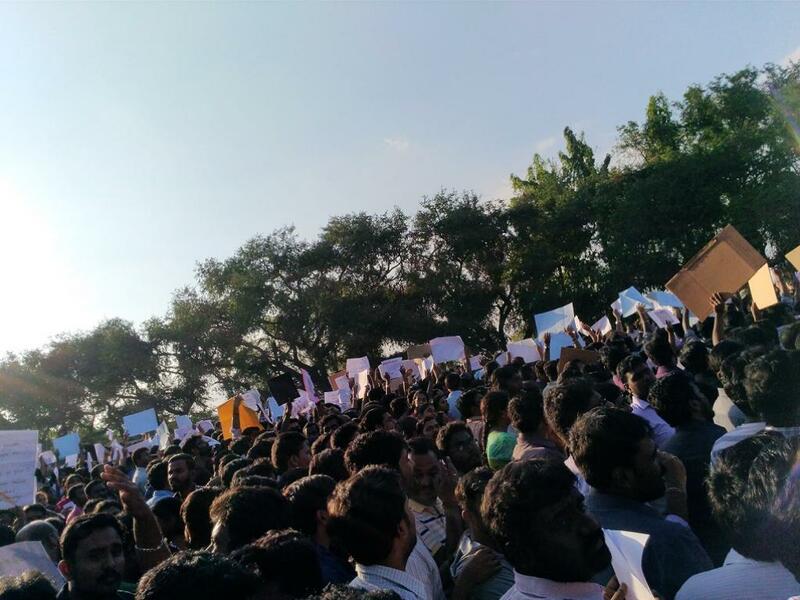 The residents of the area were protesting against the proposed doubling of capacity of the Vedanta Group’s Sterlite copper-smelter plant. Citing long-festering pollution concerns, they were demanding the permanent closure of the existing plant. On May 23, the day one more protester was killed, the Madurai Bench of the Madras High Court stayed the expansion of the Sterlite smelter and ordered a public hearing before permission could be granted for the expansion of the plant. On May 24, the Tamil Nadu Pollution Control Board (TNPCB) ordered the closure and disconnection of electricity supply to the plant with immediate effect. In April, TNPCB had already rejected Sterlite’s application to renew the licence to operate (called a consent to operate or CTO), citing violation of consent conditions. The May 24 order was in response to an inspection report that found the plant carrying out activities to resume its operations despite the rejection of the CTO. On May 28, the state government ordered to “permanently” close down the plant in “consideration of the interests and sentiments of people of Thoothukudi”. The state government order, while endorsing the TNPCB action, cited Article 48-A of the Constitution that enjoins the government “to protect and improve the environment and to safeguard the forests and wildlife of the country”. On May 29, the State Industries Promotion Corporation of Tamil Nadu Limited (SIPCOT) issued an order to take back 342.22 acres of land allotted to Sterlite for the expansion project. SIPCOT cancelled the allotment “in larger public interest”. All the aforementioned actions were taken for reasons like “public interest”, “peoples’ sentiment”, “public participation” and “environmental protection”. The question is: why were these reasons not applied beforehand? After all, the local community has been agitating against the plant since it was proposed in 1995. In the last 20 years of its existence, the plant was found on numerous occasions to flout pollution norms with impunity and forego permit requirements. It was closed multiple times for violations of environmental norms and fined Rs 100 crore by the Supreme Court for causing pollution. With such a poor track record on environment for nearly two decades, a plant like Sterlite would not have been allowed to operate anywhere in the world. Yet, not only was it allowed to operate, it was permitted to expand its capacity several times. The main reason for the current agitation was that people were angry that the plant was permitted to double its production capacity, again, without their consent. Why did our environment-related institutions fail to take decisive action, and allow the situation to fester? Why did they not resolve the conflict peacefully, taking into account the interest of the local people, the environment and the imperatives of the economy? The answer to these questions primarily lies in the way we view “development”. Today, in India, there is a general consensus within political parties and policymakers that though the environment is important, it cannot come in the way of economic growth. In fact, “economic growth at all costs” is more or less the accepted paradigm of all political parties. And, this paradigm has permeated through all our institutions. This is best reflected in the judgement given by the Supreme Court and the National Green Tribunal (NGT) while overturning the shutting of the Sterlite plant on two occasions. Similarly, when TNPCB closed Sterlite for releasing toxic gases in 2013, NGT overturned the closure order on “technicalities” and said, “shutting down an industry amounts to ‘civil death’ of the company. A direction of closure in relation to a running unit only results in stoppage of production but has far reaching economic, social and labour consequences. Before directing the civil death of a company, the decision making authority is expected to have before it some reliable and cogent evidence.” This economic growth-centric view of development is the fundamental reason for most environmental conflicts in the country. The other fundamental reason is what I call the “crisis of institutions”. Our institutions, both within and outside the government, are today incapable of resolving environmental conflicts. Successive governments at the Centre have decimated scientific institutions that could have provided independent data and information to resolve conflicts. Both the Central and the state governments have worked in unison to incapacitate regulatory institutions by making them weak, corrupt and untrustworthy. And, they have destroyed processes of public participation, such as public hearing during the environmental clearance (EC), that could take communities under confidence and find solutions. Take the case of the EC process implemented by the Ministry of Environment, Forest & Climate Change (MoEF&CC). The EC process is not working to protect the environment. It is a lot of paperwork with nothing to show on the ground. About 99.9% of the projects are cleared and there is hardly any post-clearance monitoring. In the case of Sterlite, multiple ECs were granted based on faulty environment impact assessment (EIA) reports and without any public hearing. This led to a lot of resentment as the local community believes that the MoEF&CC have denied them their right to be heard before granting clearance to the plant. In fact, over the past ten years, both the UPA and NDA governments have diluted the public-hearing process to such an extent that it is no more a platform for resolving conflict and arriving at sound decisions. Instead, a public hearing has become a platform for companies to throw largesse to the local community to seek their approval. The best part is that the MoEF&CC has recently legalised this barter system by naming it “corporate environment responsibility”. The status of the State Pollution Control Boards (SPCBs) is even more dismal. SPCBs are the primary pollution-monitoring and enforcement agencies in the country. But, they are incapacitated, redundant and subservient to state governments. Worse, no state government wants to invest in them as they are considered corrupt, ineffective and a liability. Take the case of TNPCB. It has a vacancy of 30% of the sanctioned posts and its technical staff gets less than half-a-day in a year to inspect one highly polluting industry for certifying its approval. Little wonder that Sterlite kept polluting and TNPCB looked the other way. It would be foolish of us to consider the Sterlite case as a simple one of a corrupt corporation “managing” all and everyone, cutting corners and riding roughshod over the concerns of the local community. Sterlite reflects the deep-rooted crisis of environmental governance in India. There are thousands of Sterlites happening across the country today and thousands more are in the making. Until we fundamentally reform our model of environmental governance and build credible institutions, cases like Sterlite will keep happening and environmental conflicts will only grow.